The great thing about being President of the United States is that, when you say something you shouldn’t have, you can call a press conference – or smash out a tweet – to correct yourself and clarify things. So when you say something as innocuous as ‘I don’t see any reason why it would be’ when asked about Russian interference in the presidential election, less than 24 hours later you can tell the press you really meant to say ‘wouldn’t‘, and wipe your hands of the matter. Unfortunately, these rules don’t apply to lowly quiz show contestants. When someone has answered a question incorrectly and the same question gets passed over to the other team to answer, the other team should probably have been listening. That way, at least they’d know the incorrect answer, thus narrowing down the options and giving themselves a better chance at getting it right. However, for two contestants on ITV’s The Chase, that didn’t happen. In the immortal words of Eminem, they missed their one shot, they missed their one chance to blow. In fact, they missed it so categorically, it’s worth sharing. 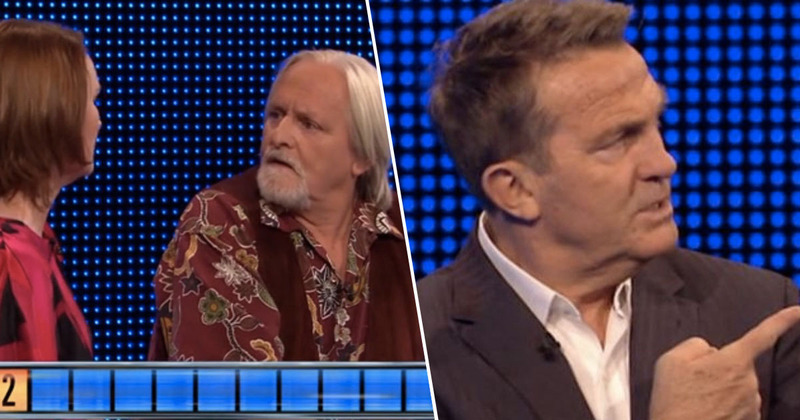 In the final round of a recent episode, where the contestants have answered a number of questions and the chaser has to answer the same number of questions (‘chasing’ them, if you will), the contestants had the chance to push the chaser back. This happens when the chaser answers a question incorrectly, and if the contestants get it right, the chaser’s total goes down one place. Shock! She got it wrong, so the question goes over to the contestants to see if they can get it right and push her back a place. You see, Richard failed to not only listen to his female team mate but also managed to not listen to his female opponent, and forged ahead with his own – incorrect – belief. Is quiz show-related toxic masculinity a thing? Unfortunately, quiz show contestant Richard – unlike Trump – can’t bosh out a press conference to correct himself, no matter how much he’d like to clarify that what he actually meant to say was ‘not Cadburys’.